both sonic rivals and sonic the hegdehog has great music. OH!! I feel so at peace and calm when running on the ngày Missions!!! The âm nhạc from the country of Shamar is dA BESTEST!!!! All the âm nhạc for each Werehog âm nhạc was EXEPTIONALLY WELL DONE!!! It was very moving and powerfull. They basically made sure bạn "felt" the mood of each and every mission! 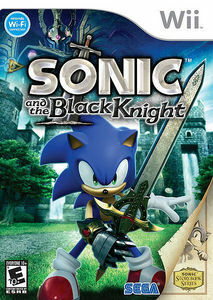 The Sonic game that has the best music, I would have to say, is Sonic and the Black Knight.